I don’t know if you guys are noticing, but this entire site is getting a full makeover. 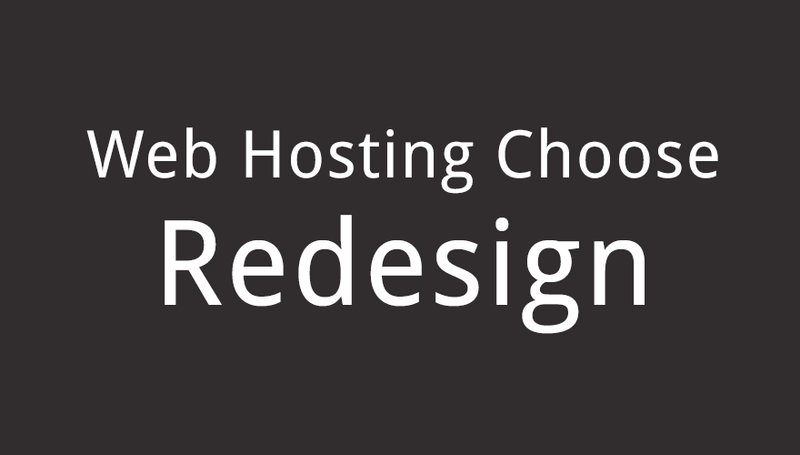 The other designs I used to have on WebHostingChoose.com really felt busy and dated. Part of my biggest frustrations with this site was finding images to use for the “Featured Images” section which is used throughout the site including the main blog page. Check out the web hosting reviews section of the site. On this custom post type page, I changed how the hosts are arranged by using a sorting order I choose in the WordPress Dashboard. If you look deeper and visit a web hosting review such as my InMotion Hosting review, you’ll notice all distractions are removed entirely, including the site’s header bar, side navigation and many other tweaks. In the very near future, I’ll be updating all of the reviews found on this site to update them for 2014-2015. I updated all WordPress training videos to WordPress 4.0. I lowered the prices drastically because I want anyone who needs to learn to have cheap access to these education resources. In fact, if you decide to purchase your web hosting through Web Hosting Choose, all you need to do is contact me and I’ll provide you with a coupon that will give you the video series FOR FREE. If you purchase hosting through this site, contact me, I’ll give you FREE ACCESS TO THE WORDPRESS TRAINING. It’s my way of saying thanks for using our site for your web hosting needs. The main page is showing just blog posts right now, but this theme allows me the full flexibility to provide everyone access to the features sections of this site in a very appealing way. Once I get done updating the web hosting reviews section, I’ll be adding new features to the site and then feature those on the main page along with what already exists here. That’s about it for now! Back to work.